Mumbai: Raghuram Rajan is one of the few economists whose reputation has not been shredded in the financial crisis. 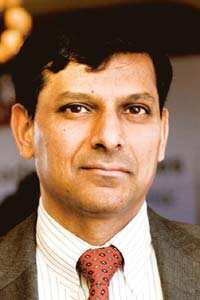 In August 2005, Rajan attended a meeting of central bankers and economists at Jackson Hole, Wyoming, to honour then US Federal Reserve chairman Alan Greenspan. Rajan asked a blunt question in the paper he read there: Has Financial Development Made the World Riskier? His answer: yes. That was not a popular view among mainstream economists of the time. Many economists attacked his prescient paper that day, just two years before Western financial markets froze in August 2007. Rajan also chaired a committee on financial sector reforms in India. In an email interview, the former chief economist of the International Monetary Fund and now a professor of finance at the University of Chicago gives his views on what the last one year has taught us. Looking back, was it a mistake to let Lehman sink or was the subsequent economic damage inevitable and the Lehman collapse just one of many catalysts? I don’t think the Lehman decision was deliberate. They thought they would be able to rescue it with the help of the private sector till the last moment. My sense is the economic damage was largely inevitable. The underlying rot was already in the system. They could not keep on propping up everyone without congressional support. And the post- Lehman situation indicated how bad things could be. What are the main lessons policymakers and economists have learnt in this one year? Policymakers have learnt to pull out all stops. No one really knows what worked, but everyone will claim their piece (fiscal stimulus, monetary easing, quantitative easing, loan guarantees, and so on) was essential. My sense is all helped a little in reassuring the public that the government was on the job, but the key piece was the government backing almost everything. That quelled the panic, and started putting a bottom to the financial panic. The rest was icing that helped put a bottom to the real economy decline. However, all these actions have long-term consequences—typically costs —which we will discover over the years. Should leading Western economies reconsider the role of finance and should emerging markets such as India go slow on financial sector reform? Reconsidering is fine—do we need so much innovation or trading, for example. The difficulty is doing something about it that does not create more problems than it solves. As in advertising, perhaps only 50% works. The difficulty is getting the right 50% because no one knows what that is. What innovation and trading would you ban? Obviously, the destabilizing stuff, but what is that? No one knows. We are so far behind the curve in terms of what goes on in India that I would not worry too much about the reforms we contemplate turning our financial sector into the Wild West. Much reform in India is about doing things that improve financial access and stability. Doing them could make the system more stable, rather than less. For example, my committee proposed focusing on expanding access to financial services like savings and insurance rather than pushing credit down the throats of the poor. That could be one of the lessons we draw from the sub-prime crisis. Do you think the global recovery will be sustained or do you expect a weak recovery? It will probably be weak because of the high debt loads both governments and households bear. But there could be quarters of very strong growth. Moreover, economists are very bad at predicting turning points or short-term prospects. Has the world actually dealt with some of the underlying issues that created the housing bubble, including global imbalances, poor regulation of the financial sector, perverse incentives within investment banks, etc.? No, and the momentum to take a serious look is fading. We don’t need a lot more regulation, we need more clever regulation. But out-of-the-box thinking can be shot down easily. Look to higher capital requirements as one of the main changes—and that will hurt countries like India that depend on banks for financing growth. When do you think the major economies will be in a position to roll back expansionary monetary and fiscal policies? They will wait and see, acting probably a little late to build insurance.